Welcome to The NorthEast Wholesale Food Distributors Association! 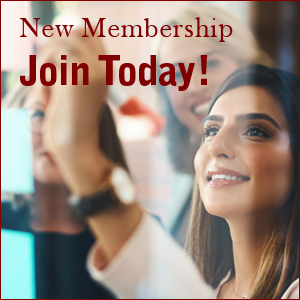 We are happy to welcome you as a member. NEWFDA is a dynamic organization that represents its member companies and thousands of employees in our industry. Our strength depends on the continued membership of companies like yours, and we truly appreciate your support. The NEWFDA Scholarship program has provided over $900,000 in scholarship awards to college-bound students of NEWFDA member families as part of our on-going commitment to promoting excellence in education within the Wholesale Food Distribution community. To take advantage of this important benefit, find out more about our scholarship program and application process here. The Annual NEWFDA Convention is an event not to be missed! An outstanding opportunity to network with colleagues and customers in a beautiful and relaxed setting, this four-day family getaway is packed with many fun events as well as a business seminar and offers many opportunities to network with executives from across the country. At NEWFDA’s Annual Golf Outing, golfers enjoy a day out on the course with colleagues and clients while supporting the NEWFDA Scholarship Fund. Join us for NEWFDA’s Annual Golf Outing at Lake of Isles at Foxwoods, a beautiful and challenging course, rated #1 in Connecticut. This event sells out quickly… learn more and download your registration here TODAY! Your membership ensures that NEWFDA will continue to play an active and vital role in strengthening our industry in the year ahead.